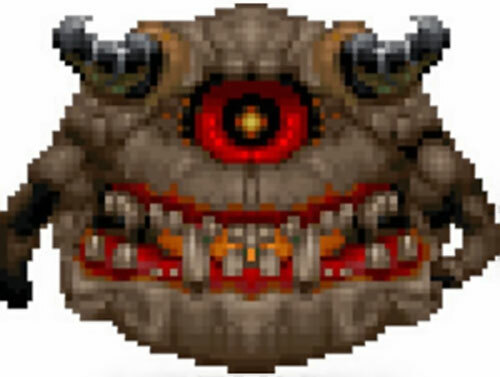 If you don’t know about pain elementals, please read our DooM marine profile first. Group Affiliation: Forces of Hell. Height: 6’2″ Weight: 500 lbs. They float in the air. Though they won’t attack anything directly, they will spit up Lost Souls to do their fighting for them and screen them from fire. Pain Elementals have two horns, but apparently never use them offensively. 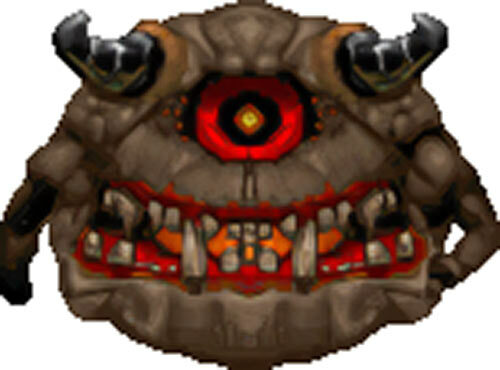 For the general background, see the Doom marine writeup. The Pain Elementals are repositories of the human souls stolen from people to make zombies. Every dead human thus becomes two fighters in Hell’s armies, their bodies fighting as zombies while their spirits fight as Lost Souls. Pain Elementals can reach more than 6’ in height and 8’ in diameter. They would weigh a lot more if they weren’t hollow. Trapped Lost Souls can be seen flitting about in the Pain Elementals’ mouths between the gaps in their teeth. Looks rude. Acts as troop transport for Lost Souls. Cries like a baby when hit. 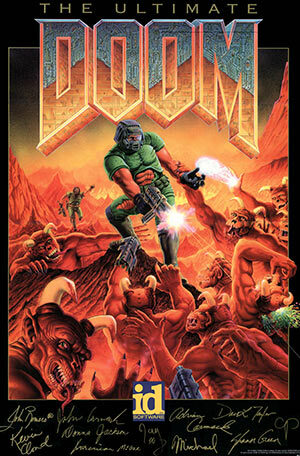 See the Doom marine writeup. 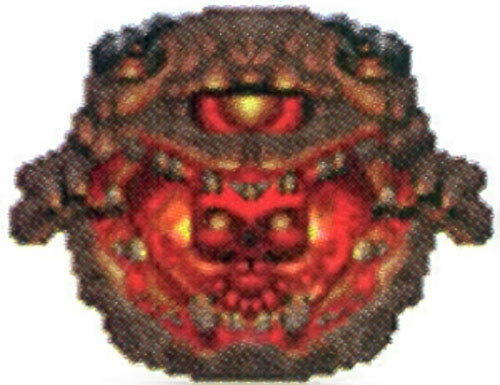 Dimension Travel can only be used to Summon Lost Souls from Hell ; these Summonings have an OV/RV of 01/01. Any single Pain Elemental can only have four Summoned Lost Souls in existence at a time. If one of the Lost Souls it has Summoned is killed, the Pain Elemental can Summon another Lost Soul on its next turn. When a Pain Elemental is killed (reduced to 0 or lower APs of Current BODY), three additional Lost Souls are automatically Summoned, even if this exceeds to aforementioned limit of four existing Lost Souls at a time. 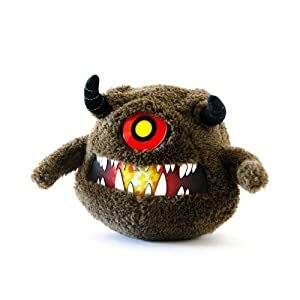 Strange Appearance, Catastrophic Rage (if hit by an attack, will almost always attack the offending creature), Minor Physical Restriction (short arms). By Roy Cowan and Sébastien Andrivet. 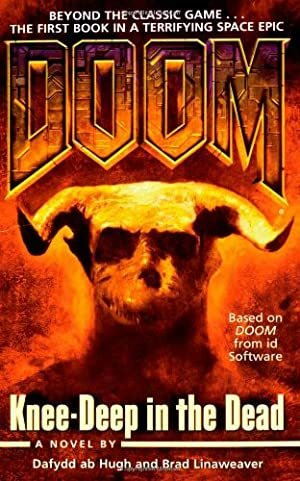 Source of Character: DooM video games. Main illustration by Hidfan .